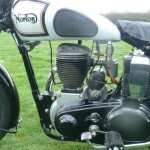 Restored 1953 Norton Big 4 Motorcycle. 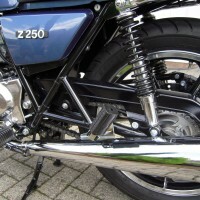 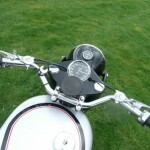 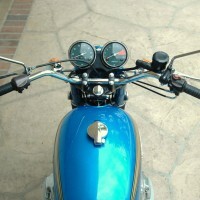 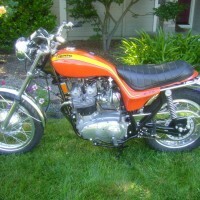 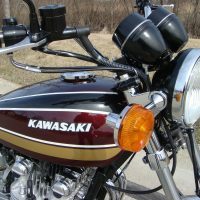 This motorcycle was completely restored with many new parts throughout. 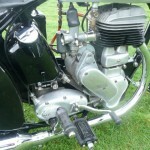 The engine was stripped, re-bored and fitted with a new piston and rings. 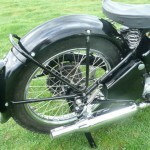 The wheels were rebuilt with chrome rims and stainless steel spokes. 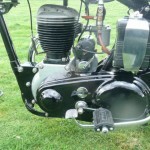 A new battery was fitted inside the original black rubber box. 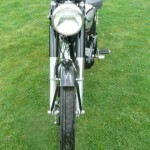 All of the black parts were enamelled or powder-coated. 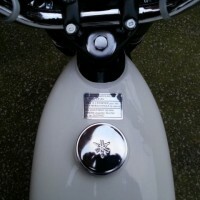 The fuel tank was repainted and the chrome parts re-plated. 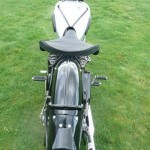 Rebuilt to high standard with many new fasteners, this is a really great restored Norton Big 4 Motorcycle. 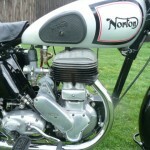 Norton Big 4 – 1953 For Sale or Wanted? 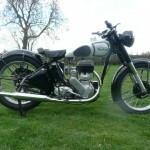 If you're looking for the perfect Norton Big 4 – 1953 for sale then take a look at the hundreds of restored classic motorcycles listed on our extensive Motorcycles For Sale pages. 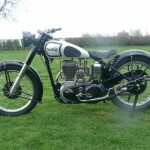 We regularly feature very nice restored Norton Big 4 – 1953 bikes for sale. 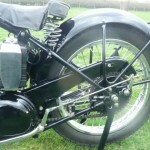 Spares and Parts for your Norton Big 4 – 1953? 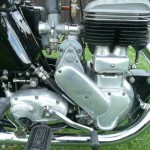 Workshop Manual for your Norton Big 4 – 1953?